The RO is required to notify the claimant in writing. The law requires the notice to include the reasons for the denial and a summary of the evidence considered, as well as the appellate rights for the claimant. Beginning in 2012, notice procedures changed to a “Simplified Notification Letter” that provides less details than earlier letters. Notices should be reviewed carefully to determine whether sufficient details were provided by the VA. Until the VA provides a sufficiently detailed notice, a claim will remain open. However, failure to respond promptly can convert the deficient notice into a final notice. Sometimes claims involve requests for multiple benefits. . The agency must include a separate discussion for each benefit denied. Until a claimant receives a response for each claim that was requested, a claim may remain open. Was the denial based only upon the fact that the claimant did not respond to a request for evidence, or did it also involve an analysis as to whether the evidence already in the record supports denial of the claim? Did the RO send the claimant and representative notice of the denial and a statement of appellate rights? If the VA cannot answer both questions with a “yes” than the dismissal may be only a temporary setback that can be cured by making sure that a notice of disagreement or a response to the request for evidence is filed in a timely manner after the denial. Upon receiving notice of the RO decision, you should request the RO’s rating decision or other decisional document upon which the notice was based, if it was not included with the RO decision. In most cases, rating board adjudications are prepared on blue-colored paper so that the decisions can easily be identified within the claims file. Rating decisions explain the relevant issues, law, and evidence that was relied upon, and provide the explanation for the RO decision. Most rating decisions are recorded on VA Form 21-6796. C & C decisions are issued after the first rating decision when the claimant submits additional evidence that the VA believes is cumulative, not new and material, or unpersuasive, or when the VA believes the new evidence does not warrant a change in the earlier decision. Deferred rating decisions are issued when the claim is underdeveloped, or incomplete and additional development is required. After receiving an adverse RO decision, the initial step in the appeal process is to file a Notice of Disagreement (NOD). In many Regional Offices, an informal “reconsideration” is conducted upon request for employees of Veterans Service Organizations. This is typically done prior to filing of the NOD. For any appeal, filing a written NOD is mandatory. A NOD is defined as a “written communication from a claimant or his or her representative expressing dissatisfaction or disagreement with an adjudicative determination by the agency of original jurisdiction [the RO] and a desire to contest the result.” In layperson’s terms this means you must communicate your disagreement and desire to appeal in writing. Where is the NOD filed? A NOD must be filed at the VA office that sent the claimant the notice of the determination being appealed. If a claimant receives a notice that the claimant’s records were transferred to another VA office, then the NOD must be filed with the VA office that received the records. Most decisions are made by an RO and filed at the RO. However, if the decision relates to entitlement to treatment from a VA medical facility, the medical facility making the decision should receive the NOD. It is a good practice to send the NOD to both the medical facility and the RO because medical facilities are usually not accustomed to processing NODs. What is the NOD deadline? The deadline to file a NOD is one-year from the date of the mailing of the VA notice to the claimant regarding the adverse decision The date on the letter notifying the claimant is considered the “date of mailing.” A NOD postmarked before the expiration of the one-year deadline will be considered timely filed. The date is calculated by excluding the first day and counting the last day. When the last day falls on a weekend or holiday, the period ends on the next workday. The VA uses a legal doctrine called “the mailbox rule.” This means that “if a letter properly directed is proved to have been either put into the post office or delivered to the postman, it is presumed, from the known course of business in the post office department, that it reached its destination at the regular time, and was received by the person to whom it was addressed.” It is recommended that you send your NOD with some form of proof of mailing. A different NOD deadline rule applies for simultaneously contested claims. Therese are claims where opposing claimants are competing for the same benefits. For example VA pension benefits as the rightful surviving spouse of a deceased veteran. The adversely affected claimant for a simultaneously contested claim must file the NOD within only sixty days from the date of the mailing of the notice of the decision. What if the NOD deadline is missed? If the one-year deadline is missed, the RO decision becomes final and non-appealable. The Secretary may extend the period in which to file a NOD, if “good cause” is shown. “Good cause” is discretionary. However, even if the time is extended the BVA may overrule the RO. If the deadline is missed, but the RO agrees to extend the deadline, it is recommended that a claimant also file a reopened claim with the RO, along with a letter explaining (1) the reopened claim is being filed to preserve the earliest possible effective date in the event that the VVA overrules the RO, and (2) the claimant requests that the RO postpone any action on the reopened claim until the pending appeal is finally decided. When a request for an extension is not granted, or if “new and material evidence” was not submitted during the appellate period, any attempts after the deadline will be treated as a reopened claim. If the reopened claim is eventually granted, the effective date will not be the date of filing the claim that resulted in the missed deadline. If a claimant does not file a NOD or new and material evidence within the required one-year period, the claimant can pursue benefits by filing a new claim at the RO. A new claim filed after the one-year NOD time period expires can allege that the prior decision to deny the claim is incorrect because it contains “clear and unmistakable error” (CUE). A denial of a reopened claim or a claim alleging clear and unmistakable error in the previous decision is then appealable by fling a timely NOD on the new or reopened claim. What is the best strategy for when to file a NOD? The answer is different for every case. If the evidence supporting the claim is sufficient and the issues are clear, submitting the NOD immediately is the better strategy because it will start the claim moving through the appeal process immediately and protect against the NOD one-year filing deadline. In some cases, the best strategy is to use the one-year filing deadline time as an opportunity to better prepare and bolster a claim. This time can be an opportunity to gather additional evidence. What Language Should Be Used in a NOD? Label the NOD a “Notice of Disagreement” and include all pertinent claimant information (e.g. claim number (C-file number), name, address, signature, date). Identify the date of the decision that is being disputed, as well as the specific claims disputed, and indicate that the claimant disagrees with the decision. There must be a NOD for each issue of a claim. However, a claimant can only submit a NOD for issues that have been decided. For example, a claimant may file one NOD for date of service connection, and a second NOD for the date of disability onset, and a third NOD for a disability rating. There are strategic choices to make when preparing a NOD. 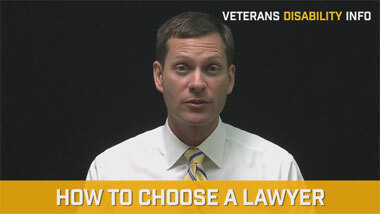 Often an experienced veteran’s appeal lawyer can be helpful for planning the best strategy. While a NOD does not have to be lengthy, the NOD provides an opportunity to submit additional argument, focus claim issues, and where no local hearing is planned you can submit additional evidence with the NOD. A persuasive NOD can influence an RO to change an adverse decision and grant benefits. While a persuasive NOD can result in the RO changing an adverse decision, sometimes the better strategy is to save arguments for an in person hearing. A hearing officer or Decision Review Officer can overturn the prior decision. When all of your arguments or ammunition is used in the NOD the prior person who initially denied the claim may use the NOD as an opportunity to write a more detailed and persuasive denial decision. The bolstered denial decision may then influence the hearing officer who later hears the claim. This is a “Notice of Disagreement” (NOD) to the VA letter(s) dated [insert date(s)]. I disagree with all the adjudicative determinations mentioned in the above referenced VA letter(s) and any enclosures thereto, except for those, if any, that I specifically state here that I do not want to appeal. Therefore, my notice of disagreement specifically covers all the determinations made by the regional office unless specifically excluded. I also disagree with the RO’s failure to adjudicate issues and claims it was required to adjudicate. I am specifically referring to issues that I may not have discussed but which were reasonably raised by the evidence in my VA claims file or in the VA’s possession that should have been inferred by the regional office. This appeal also includes adjudicative determinations that were mischaracterized by the regional office. If this appeal is not resolved favorably, please send me a Statement of the Case so that I may appeal this decision to the Board of Veterans Appeal. Additionally, please also accept this notice as a request for a “de novo” review by a Decision Review Officer. When including such language, review the prior decision for any decisions that are favorable to the claimant. For example, if the service dates are favorable a note should be made. 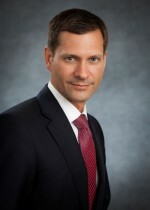 All aspects of the decision that were favorable to the claimant should be listed as specific exceptions to the above stated dispute of the entire appeal. This is another example of a situation where having a veteran appeals lawyer can be extremely helpful. Should I choose the optional appeal to a Decision Review Officer? When a timely NOD is filed, a claimant may have the option of requesting the rating board’s decision be reviewed at the Regional Office by a Decision Review Officer. As part of the DRO Review, a hearing may also be requested. In fact, in some cases a veteran has multiple DRO reviews addressing different issues of a claim. Review is de novo. De novo means that a new and complete review is performed without giving any weight to the prior decision. Decision Review Officers (DROs) are senior-level RO employees. The DRO review process is only available if there has been a rating decision denying less than the full benefits sought. A DRO review is optional. It is not required in order to appeal an RO decision to the Board of Veterans’ Appeals (BVA). VA regulations provide a limited period for requesting DRO review. The first opportunity to request DRO review is when the NOD is filed. Before the RO issues a Statement of the Case (SOC), the RO will notify the claimant in writing of the right to request DRO review. The claimant then has a 2nd and final opportunity to request DRO review. The request must be filed within 60 days after the date the VA mails the notice, or the right to DRO review is waived and the VA will proceed with the traditional appeal process by issuing a statement of the case. Unless there is clear and unmistakable error (CUE) a DRO will not reverse any favorable findings of the prior decision. DRO Reviews can give a claimant a second chance as well as providing a better understanding as to the prior decision and what may be persuasive to the VA. The SOC is sent to the claimant as an attachment to a VA form transmittal letter. The VA form letter acknowledges receipt of the NOD and explains the purpose of the SOC and the Substantive Appeal form (VA form 9). The Appeal for is also attached to the SOC. While the VA does not have any time requirements for sending the SOC, it is generally sent in about four to six weeks after the NOD is received at the RO. However, in many cases it takes substantially longer. Until the SOC is sent to the claimant at the claimant’s last address of record, the claim will remain in pending status. The Supplemental Statement of the Case (SSOC) is issued when the VA RO receives additional pertinent evidence after a SOC or the most recent SSOC and before the appeal is certified to the BVA and the appellate record is transferred to the Board of Veteran Appeals. SSOCs are also issued when a material defect in the SOC or prior SSOC is discovered; or for any other reasons the SOC or prior SSOC is determined to be inadequate. Because new evidence can be submitted an any time to the RO SSOCs are frequently necessary. Claimants are allowed 30 days in which to respond to an SSOC. If a Substantive Appeal has already been filed in response to the initial SOC, there is no requirement that the claimant respond to the SSOC. 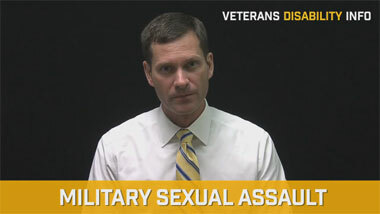 In some cases, a veteran may choose not to response because a response can further delay the certification and docketing of the appeal with the BVA. However, if the SSOC addresses a legal issue or medical evidence that has not yet been thoroughly addressed then it can be advisable to respond to the SSOC. This is the type of strategic decision for which a veterans’ rights attorney can often be helpful. 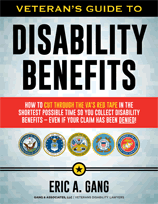 Claimants are required to respond to the SOC by filing VA Form 9, a Substantive Appeal. With the SOC, the appellant and his or her representative are to be provided: information on the right to file; the time limit for filing a Substantive Appeal; and information on hearing and representation rights. A VA Form 9, “Appeal to Board of Veterans’ Appeals,” is provided to the appellant with the mailing of the SOC. The VA cover letter accompanying the SOC provides instructions for completion of the VA 9, and other pertinent information. When responding to an SOC, be aware that a SOC may not always be accurate or complete, and sometimes a SOC contains errors such as incomplete dates, or improper descriptions of evidence. There may also be relevant law that is not discussed in the SOC. After the SOC, the next step in the appeal process is the filing of a Substantive Appeal by the claimant on a VA Form 9, Appeal to Board of Veterans Appeals. This is the last step in the process of getting your claim to the Board of Veterans Appeals. The strict 60-day time limit must be observed otherwise the appeal will not survive and the denial will become final.